I have blogged about RetailMeNot before. Anytime I am about to order anything online I search for a coupon code on RetailMeNot to see if I can get any additional discounts. Ebates.ca is a website that refunds you a percentage of your online purchases. All you have to do is create a profile on the website and sign in every time you want to order something online. Ebates will either mail you a cheque or you will can receive payment through Paypal. Like probably everyone else in the world, I love designer clothes but I do not enjoy the designer price tags. Every season there is an item that I fall in love with, but I cringe when I see how much it costs. Shopstyle has this amazing function where you can set sale alerts. Once the item goes on sale, the website sends you an email notification. I had to change the settings on my e-mail subscriptions because I can not resist a good deal. Hautelook, Gilt.com and Beyond the Rack have flash sales on designer products. The discounts are quite significant, ranging all the way up to 80% off. The nice thing about the internet is that you can do a quick google search to compare prices of products before you buy them. Make sure you add the item to the checkout so you can factor in shipping or duty costs. Check the size guide and the reviews before you order. The reviews can tell you a lot about how an item fits. If you are between sizes order more than one size, especially if there are free returns. Hopefully these tips help you get the best deals when you are shopping online. 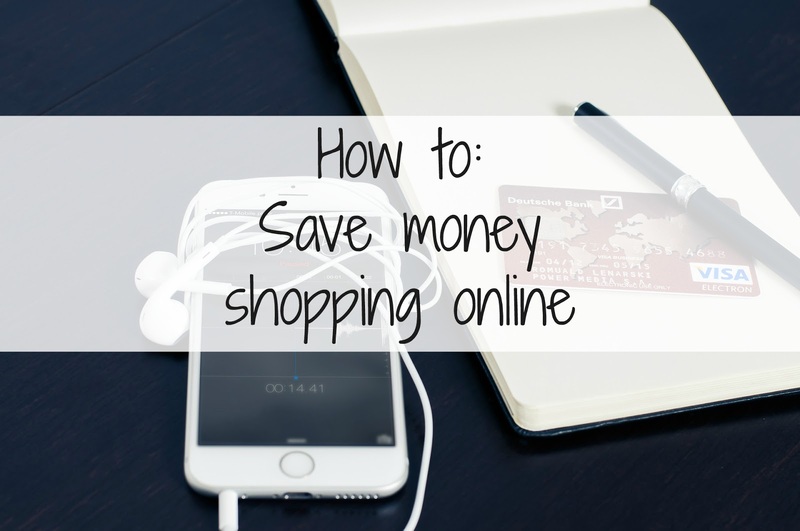 Leave me a comment below and let me know if you found these tips helpful or if you have any online shopping hacks of your own. These tips are great! I especially like Ebates for online shopping. Glad you found them useful. Thanks for stopping by. I've started purchasing (actual) gift cards or ecards using CardSwap. You earn CardSwap points depending on the stores you shop at (they have most of the ones you list above as well as TONS more). Last month, I purchased $500 in cards, what I would have spent anyways (and I charged to my credit card so I earned an additional 1% back) and I earned 2% back from CardSwap equaling $10 (the minimum to cashout, which I took as PayPal Cash). It works for me because the grocery and gas stores that I shop at (Food Basics and Stinsons) don't have their own credit card "loyalty program" (like PC Financial with Shoppers Drug Mart, Esso and Loblaws or Canadian Tire with their own gas bar). If I had these stores, I would use my corresponding credit cards (I hold both) and earn up to 4% back instead of 2% from CardSwap. Make sense!? For transparency, I have a review blog and wrote a post for CardSwap years ago (November 12, 2012 to be exact), however, I didn't start using the program again until last month. Five years ago, I wasn't as interested in finance and regardless, didn't see how the program could result in a cost savings for me. Time will tell how much I will/can save but the time commitment is minimal (5 minutes, once a month) and based on my current lifestyle, could save me $120 a year. Note that I can also use the CardSwap cards and still take advance of Ebates savings as well (it just impacts my form of payment and not the URL/portal). It all adds up! This seems very similar to ebates! I like the idea of using both but it also seems a bit time consuming. I guess it is whatever works for the individual. The little things all start to add up! Thanks for stopping by!